What is the halachah on this? The Talmud says that "we may not alter the coin that the Sages have minted -- En lecha reshut l'hosif 'al matbea' shetav'u chachamim bivrachot" [Berachot Y 86a]. This means that the prayers and blessings in the siddur may not be changed. That way, you can pray in any synagogue in the world and you will use the exact same words, and feel at home. That makes us one people. So, can we conclude that we may add a completely separate prayer extolling women (if that's what a congregation wants) without breaking halacha, but not make it part of the Amidah, which must remain in fixed form? Browse other questions tagged halacha shemoneh-esrei avot-patriarch-fathers reform-judaism . Is it permitted to make hand gestures in the Amidah? 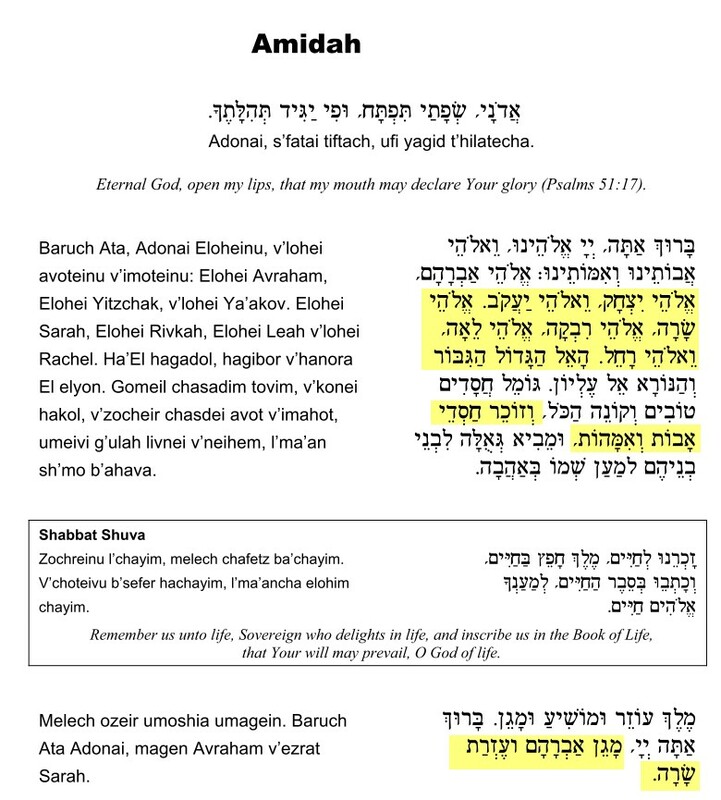 How to hold your hands during the amidah?